Happy Monday and I hope you had a great weekend. What are your thoughts on the 87th Academy Awards (Oscars)? I really enjoyed watching the red carpet moments and Marion Cotillard’s Dior gown wowed me; it was a gorgeous white gown. Once Jennifer Lopez stepped onto the red carpet, her Elie Saab gown dripping in sequins mesmerized me. What is there not to love about Margot Robbie’s long-sleeve Saint Laurent black gown? The plunging V-neck top was beautiful. Throughout the red carpet moments, I looked forward to Lupita’ outfit and I was not disappointed. The pearl Calvin Klein gown she wore was outstanding and of course, she looked flawless. As you will see, I really enjoyed the red carpet moments. 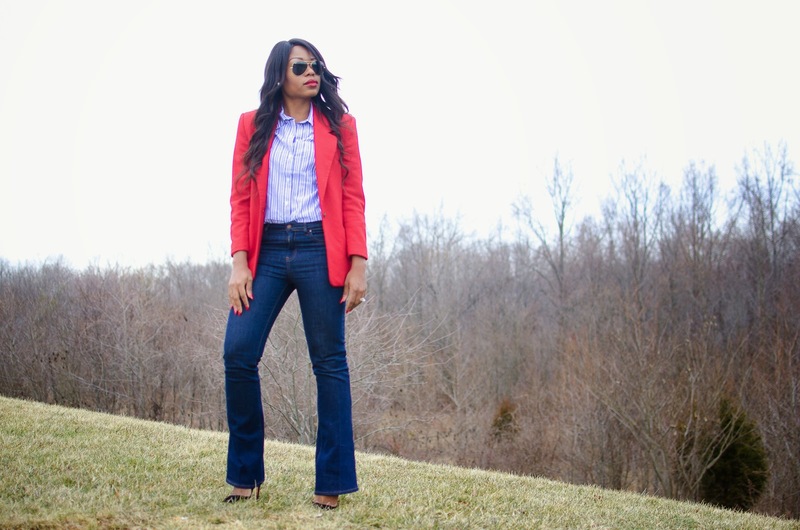 Today's post revolves around flare jeans and my casual approach to styling jeans for work. 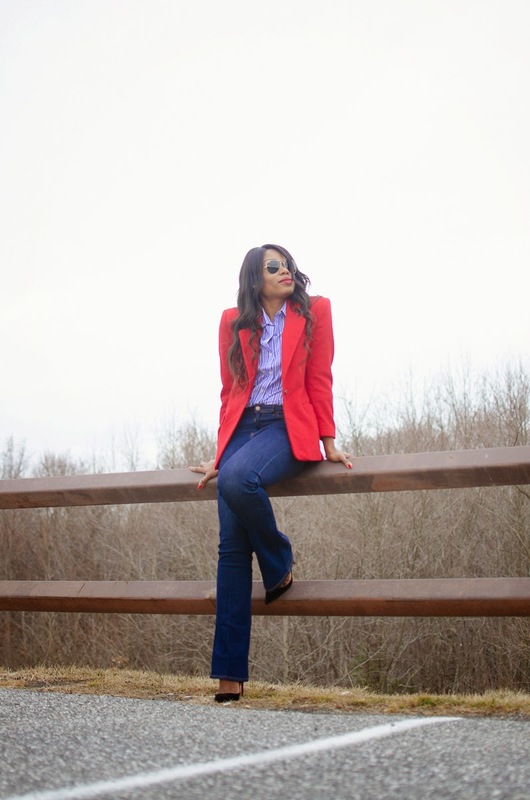 A dark shade of jeans with a structured blazer gives a classic and relaxed work look. once again... perfect styling. 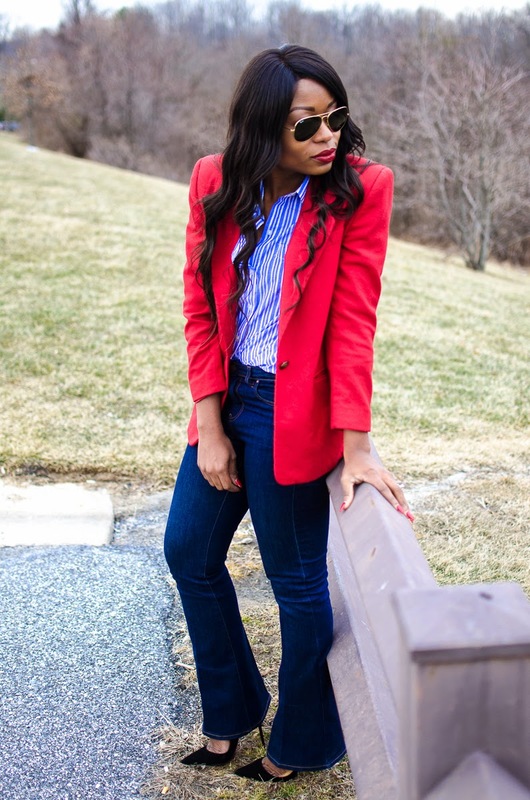 love the blazer against the stripes and denim.. and the denim is giving me that 70s vibe! Great classic look, and what I love the most about it, is that it will never get out of style. Very elegant Stella. You are stunning! Love your style! 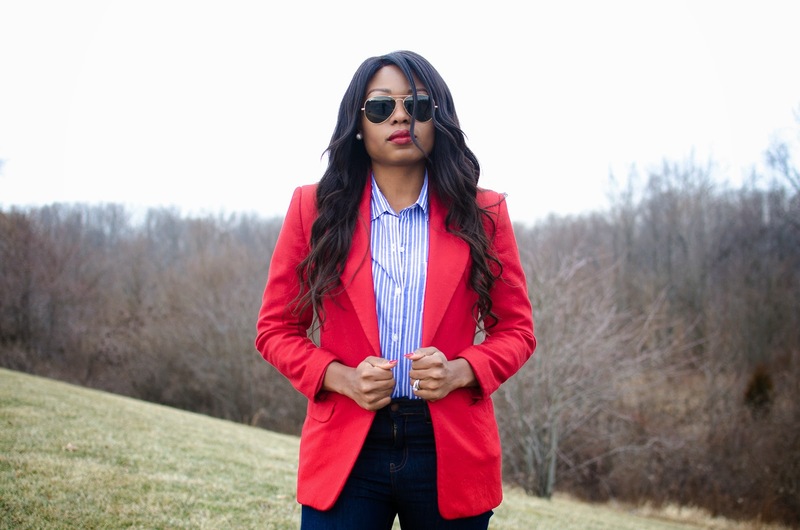 I love the blazer. You look great.